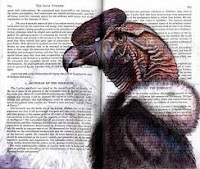 There was a time in the not-so-distant past when readers who were completists, like myself, used to have to resort to reading the list printed in the first few pages of a book to see what other books an author had written and in which order. It did not take long to find that the flaw in this system was such that the list was frequently not in any particular order. Besides that, where I grew up you had to read just what was available. One of the little solutions to this problem was to read books whose sequence was evident from the title; for instance, in series following the days of the week or months of the year. 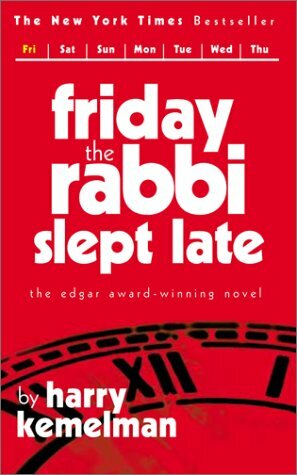 The first of these that I recall was the wonderful series by Harry Kemelman that began in 1964 with Friday the Rabbi Slept Late. The Rabbi was David Small, who lived in Barnard's Crossing, Massachusetts. Interesting cases came across his path and he was an excellent sleuth as well. What I recollect most clearly was his subtle education of the reader about some of the fine points of Judaism. I still have some of these old novels in paperback on my shelf and would like to reread them. 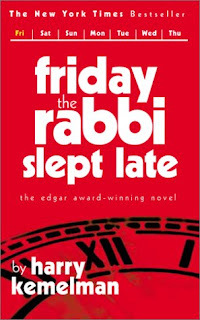 There were seven days of the week before the Rabbi just solved cases on different days, completing the series more than thirty years later. 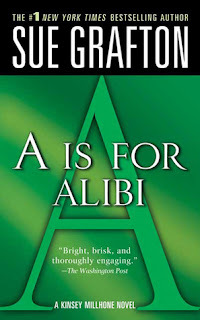 Perhaps better known and quite easy to read sequentially is Sue Grafton's Kinsey Millhone series about a female private eye in Santa Teresa, California. 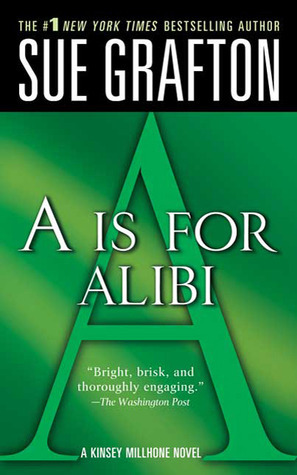 A Is for Alibi began the run of alphabetical titles, which now is at V Is for Vengeance. Kinsey is an iconic heroine (when her story began we still used this term) who was raised by a no-nonsense aunt, and who was a police officer briefly before settling into career as a PI. She is a tough cookie who lives a minimalist lifestyle and has few––but very faithful––friends. The series began in 1982, the same year that V. I. Warshawski, the brainchild of Sara Paretsky, came to print. Marcia Muller's Sharon McCone pre-dates Kinsey by five years, first published in 1977. I enjoyed this series quite a bit but I am stalled at N.
In the late '80s, I found M. J. Adamson's series featuring Balthazar Marten. It began with Not Till a Hot January. It was a bitter cold January in New York and Det. Marten was being bored to icicles at his desk job that has kept him working and his mind partially off his personal problems. Balthazar has never totally recuperated from the bomb blast almost a year ago that killed his wife and ruined his leg. Now he has a new assignment that he really wished would have passed him by, but that was not to be. He is headed to San Juan, Puerto Rico, to help with the problems a new casino is having with organized crime. Marten was well known for his recent work in the River Rat case, in which a serial killer was tracked and caught. He did speak a good college Spanish and had a partner in the past who had helped him with the language and was Puerto Rican himself. So the powers that be thought he was the right man for the job. Before he even gets settled in his hotel room by the beautiful harbor, he finds that he has been reassigned to new case of a possible serial killer of young women. This is considered by some a very un-Puerto Rican crime because the case, as it began, seemed very well planned and executed. On the island, murders were usually spontaneous. 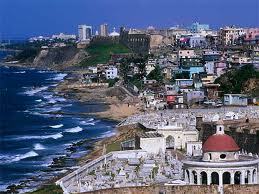 As a matter of fact, in San Juan they had two distinct homicide divisions. Homicide One, where the killer was unknown––and these crimes were rare––and a larger Homicide Two, for cases where the assailant was known soon after the murder; spouse or other family member, for example. I enjoyed this series because of the great sense of place, interesting and different types of crimes and because it is the only series I have read that takes place in Puerto Rico. A second series featuring the months of the year is written by Jess Lourey. These are more contemporary and feature a somewhat disgruntled assistant librarian in Battle Lake, Michigan. In the first, May Day, Mira James is consistently foolish, which made it hard to admire her. Some of her cracks were witty and funny, but they were quite mean at the same time. There were many snide remarks when referring to the blue hair, raisin ranch, Q-Tip (white hair, white sneakers) generation. It might have been nice if there was one senior citizen she admired. The first numerical series I completed was a short one by Donald E. Westlake, writing under the pen name Sam Holt, that was also published in the late '80s. Westlake explains in the preface of One of Us Is Wrong, that he wanted to try something different from his usual successful characters, so he arranged with his publisher this short series featuring Sam Holt, actor/sleuth. His publisher foiled him at the store when he found his books displayed as the author Sam Holt aka Donald Westlake. He never finished the series, stopping at The Fourth Dimension Is Death. In What I Tell You Three Times Is False, Westlake takes our hero to an isolated location that Agatha Christie would envy. On a small island in the Caribbean, a group of actors and a director have been called together to do a pro bono effort intended to raise money for the American Cancer Society. They have been given the use of a large tower, once owned by a drug baron now in jail. Now it's owned by two movie producers, who have promised to do a certain amount of goodwill work. The idea is to do a "find a cure for cancer" commercial, and they have brought together a cast of exemplary fictional detectives. There is Sherlock Holmes, played for many years by Clement Hasbrouck, who lately has also been dubbed "Clement Hasbeen." Miss Jane Marple is also at hand and of late has been portrayed by Harriet Fitzgerald. The part of Charlie Chan is covered by a true Asian, Fred Li. The most current is TV detective Jack Packard, 6-foot-6, a criminologist, college professor, karate black belt and amateur detective with lots of skills and talents, played by the author Sam Holt. In real life (real life in the book, that is), the only thing that Sam shares with Jack is his height and his experience as a lowly traffic cop years ago. 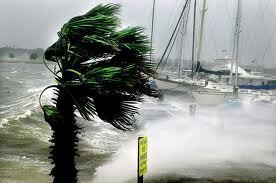 Once on the island, a severe tropical storm cuts off all the inhabitants from the mainland. Naturally, in cases such as these, dire things happen to the radio as well and communications are severed completely. This is a skillful retelling of the And Then There Were None type of story, or the cut-off-by-a-storm story, and some clues are obvious and then you talk yourself out of them. Naturally, in this case your money is on Jack Packard. Two other numerical series I have tried are Janet Evanovich's Stephanie Plum series, beginning with One for the Money, and James Patterson's The Women’s Murder Club series, starting with 1st to Die. In both of these series, one was enough. On the other hand, Elizabeth Gunn's numerical series using sports metaphors and beginning with Triple Play in 1997, features Jake Hines, a police detective in Rutherford, Minnesota. These are fast-paced police procedurals with an interesting protagonist and a slightly unusual location. There are other sequential series I am sure that might be in my future reading. These days, though, with websites like Stop, You're Killing Me! and Fantastic Fiction, I have no problem with finding what else an author has published and in what order. If anyone has some suggestions of mysteries written in a chronological or temporal pattern I would love to hear about them. Labels: Adamson M. J., Evanovich Janet, Grafton Sue, Gunn Elizabeth, Holt Sam, Kemelman Harry, Lourey Jess, Patterson James, Westlake Donald E.
I had forgotten about the Harry Kemelman Rabbi books. I never read them all I had to take what I could find back then. I enjoyed learning about Judaism and I liked the characterization. Thanks for reminding me. Maybe I should reread some. I was wondering about the current availability so I checked around. Many are hard to find but all the day of the week novels are on Kindle. I hope you enjoy them the second time around as well. Funny, I just finished June Bug, and I, too, found it hard to care about Miranda James. I really wanted to like the book, because I met Jess at MWA University, and she was a great teacher and a like able person. Plus her work ethic blew me away: she writes something like 9-11 pm after putting a full mom-of-school-age-kids plus full-time job plus dinner with the fam. So hats off, and I can only believe she has improved with each book, since she was nominated for some big award for November Hunt, I think (Lefty, maybe?). And I love, love, love Rabbi Small. I have June Bug on my shelf. I also have to give some credit to a person who has much on their plate and still manages to be an author. Lawrence Sanders's Deadly Sins series involving Edward X. Delaney is another numbered series, although THE 1ST DEADLY SIN is the second book rather than the first. Joyce Porter's comic Dover books start out DOVER ONE, DOVER TWO, DOVER THREE, but then Porter threw tidiness out the window and the titles aren't numerical.